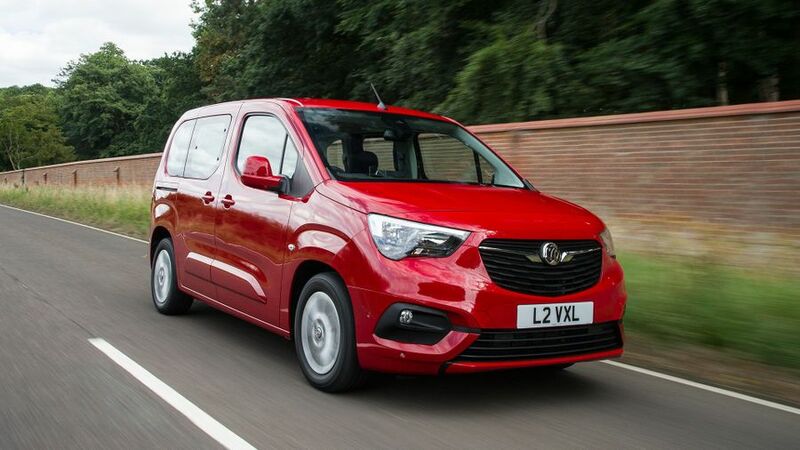 The Vauxhall Combo Life provides a gargantuan amount of space for a very affordable price, so if those two things sit at the top of your wishlist, it’s hard to beat. It’s comfortable and quiet to drive, too, and it’s packed with some really clever storage solutions. The looks won’t be to everyone’s taste, and neither will the rather cheap-feeling interior, but otherwise, it’s an excellent family car. We can only hope that the seven-seat version - which we’re yet to try – is as good for seven people as the five-seater is for five.  Interested in buying a Vauxhall Combo Life? Van-derived people carriers are rarely the last word in stylish design, and the Combo Life’s commercial vehicle roots are very much in evidence, what with the high-sided body and upright stance. That said, the Combo still manages to be quite a jolly-looking machine, with large headlamps that include LED daytime running lights, and some interesting creases down the sides. The unconventional shaping of the side windows also helps on that score. The entry-level Design trim comes with steel wheels and black plastic door mirror housings and side protection strips, while the Energy swaps these for alloy wheels and body-coloured exterior elements, along with front foglamps. Again, the Combo’s commercial vehicle roots are apparent inside the cabin, because the materials on show look to have been chosen for their durability rather than their tactility. All the surfaces are hard and scratchy on the fingertips, meaning other more conventional MPVs feel a good bit posher inside. The Combo’s van-like character does come into its own when it comes to cabin storage, though. Everywhere you look there’s another cubby hole, lidded bin, cup holder, shelf or pocket, so you’ll never be short of somewhere to stash your bits and bobs. You also get a van-like driving position which is elevated and upright, giving you a clear view of the road ahead, and the massive windows mean that your view is almost as good behind you. What isn’t quite so good, though, is the 8.0-inch touchscreen infotainment system you get with the higher-level Energy-trimmed car. It can be a real pain to use because its layout and menus aren’t very logical, and the reactions and screen transitions are rather slow. The Combo Life comes in two sizes, regular and XL, the latter of which is longer. Both are available with five- or seven seats. So far, though, we’ve only had the chance to try the regular version in five-seat format. For five passengers, cars don’t come a whole lot more practical than this. There’s absolutely tons of headroom, legroom and shoulder room for rear-seat passengers, and every person gets a seat that has the same width and side support (in other words, whoever’s in the middle doesn’t get lumbered with a seat that’s hard, raised and narrow like they do in most cars). In the five-seat version, the rear bench is split 60/40 and drops down flush to the boot floor, and the flat footwell means that everyone gets plenty of room for their feet. Parents with large families will want to know that this is one of the few cars where you can fit three child seats (so long as they’re not too bulky) across the middle row. In the seven-seater, you get three individual seats in the middle row - which makes it even more versatile – as well as the extra (foldable and removable) ones in the boot. However, having not tried a seven-seat version – either in regular or XL format – we can’t tell you how the various seats do for space. The regular Combo Life has a huge 597-litre boot when loaded up to the parcel shelf, and that figure climbs to 2126 litres if you drop the back seats and load up to the roof. The XL claims corresponding figures of 850 litres and 2693 litres. That parcel shelf is also solid, and can be installed at various heights in the boot to act as a genuine shelf. Genius. The sliding rear doors make it a doddle for your passengers to get in and out in a tight parking spot, but in the same environment, it’s not nearly so easy to open the boot due to the length of the tailgate. Again, you probably won’t be expecting particularly great things in this area from a van-derived people carrier, but the Combo Life might well represent a pleasant surprise. The soft suspension soaks up lumps and bumps really effectively, so it’s a comfortable and smooth way to get around. Yes, the body can start to feel a little bit floaty on an undulating road, but the movement is controlled well enough that it won’t have you or your brood feeling seasick. And, while the body does lean over a bit in bends, there’s not as much as you might expect, so it feels pretty stable if you keep your cornering speeds sensible. That said, the car’s considerable size, along with slow steering, still make direction changes feel more laboured than they do in a more conventional MPV, even if the tight turning circle helps a lot with low-speed manoeuvres. What the car is really good at, though, is isolating exterior noises. Road noise is particularly well suppressed, and there isn’t too much in the way of wind noise, either, especially given the car’s upright design. One petrol engine is available, a 110 horsepower 1.2-litre turbo that we’ve not yet had the chance to try. Two 1.5-litre turbodiesels deliver either 100 or 130 horsepower, and so far, we’ve only tried the lower-powered unit. It’ll be enough for most buyers, hauling the Combo Life around with a reasonable amount of purpose, albeit not particularly quickly. It’s reasonably quiet and smooth, too, which also helps towards the impressive level of mechanical refinement mentioned in the last section. The five-speed manual gearbox isn’t quite so slick but will be adequate for most buyers. The other engines come with a six-speed manual as standard, and the more powerful diesel can also be specified with an eight-speed automatic if you prefer. The Combo Life looks pretty cheap on price compared with more conventional MPVs, so if you’re looking to maximise the amount of space you get for your money, it looks like a really good bet. Bear in mind, though, that compared with other van-derived MPVs of a similar sort – cars such as the Citroen Berlingo, Peugeot Rifter, Fiat Doblo and VW Caddy – prices are very much par-for-the-course. The Combo shouldn’t do too badly on resale values, either, which will have a big effect on keeping down your overall costs throughout your ownership period. Fuel and emissions figures are also among the better ones in the class, so overall, the Combo makes a cost-effective family car. The view in this area is a little cloudy if we’re honest. The 2018 JD Power Vehicle Dependability Study places Vauxhall comfortably in the top half of the table of manufacturers, but as a product of Vauxhall’s partnership with PSA (the company that also owns and runs Peugeot and Citroen), the Combo Life has more in common with the French firm’s products. The same study places those brands at either end of the spectrum, with Peugeot ranking pretty highly and Citroen pretty poorly. You can take heart from the fact that the Berlingo Multispace – Citroen’s equivalent of the Combo Life – traditionally has a very handy reliability record according to Warranty Direct’s Reliability Index. And, if anything does go wrong, the Combo comes with a three-year/60,000-mile warranty. Six airbags are provided as standard in the Combo Life, along with mandatory stuff like electronic stability control, tyre pressure monitoring and clever brakes. What’s more, those brakes are clever enough to apply themselves if the car senses an impending accident and you don’t respond to a warning. Active lane keeping assist is also standard, as is traffic sign recognition and a system that nags you to take a break if it thinks you’re getting tired. Three Isofix child seat mounting points are also provided on the rear bench, which is rare. All that adds up to an impressively comprehensive roster of standard safety kit. Despite that, though, the Combo only managed four stars in Euro NCAP crash tests. The two trim levels available are Design and Energy. The Feel comes with a decent slice of kit, including air-conditioning, cruise control, electric front windows, automatic lights, a leather steering wheel and a four-speaker stereo with DAB radio and Bluetooth. Most buyers will be prepared to make the upgrade to Energy trim, though, because it adds front and rear parking sensors, rain-sensing wipers, automatic high-beam assist and the 8.0-inch touchscreen system that has an extra two speakers and full smartphone integration. The options list includes exotic stuff like a head-up display, a self-parking function and a panoramic sunroof. Because you and your family need as much space and versatility as you can get – both for people and for luggage – for an affordable price. The five-seat Combo Life does exactly that, making it an incredibly practical family car. It remains to be seen whether the seven-seat version copes as well with a capacity crowd, though.